Harte Peat own and control their own material resource, to minimize the possibility of disease or tramp materials from getting into the mix. Peat to be used in the mix is only extracted as it is required to meet customer needs. Following extraction, the raw peat is then transported to our production facility in Clones. The peat is then mixed to order, as different customers have different requirements. The peat is mixed with Spent Sugar Beet Lime which has been weathered and stored for more than 2 years, and also heat treated. Each batch of casing soil is tested in an independent and approved laboratory for Salmonella, E-Coli and Listeria sp., before it is despatched for use. 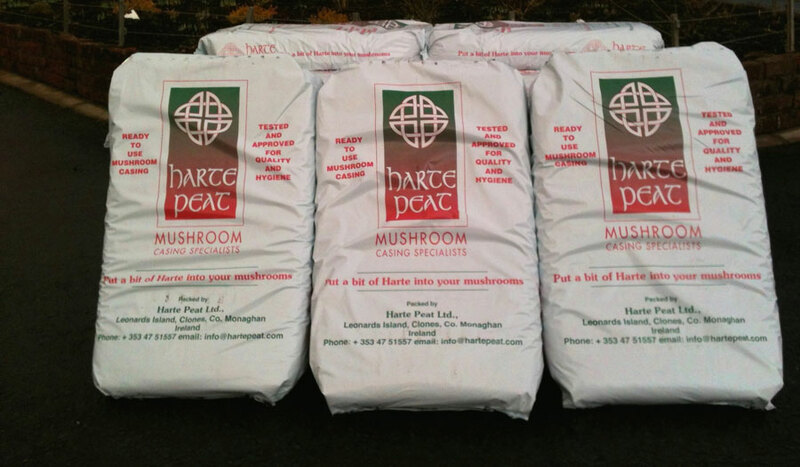 Javaneh Mushroom is the only distributor of Harte Peat mushroom casing in Iran. If you would like to order, please contact the numbers below or register your order in the order form.